A protest in Hong Kong on the 709 anniversary. Photo: PH Yang. 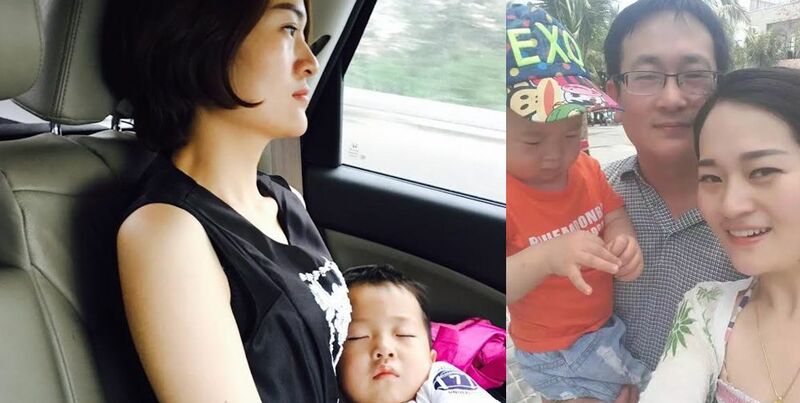 Yuan Shanshan with husband Xie Yanyi, their two girls and baby boy. 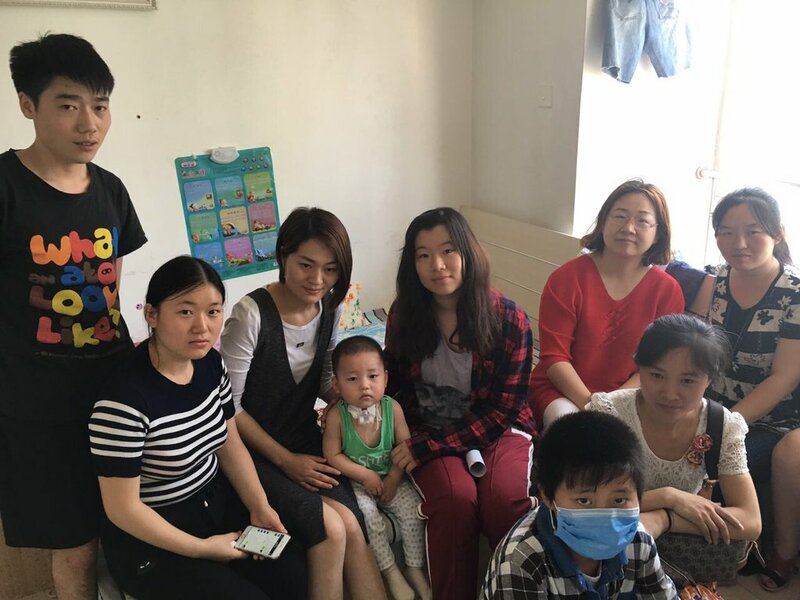 Li Wenzu and Wang Qiaoling with victims of the vaccine scandal in May. Photo: Twitter/Wang Qiaoling. 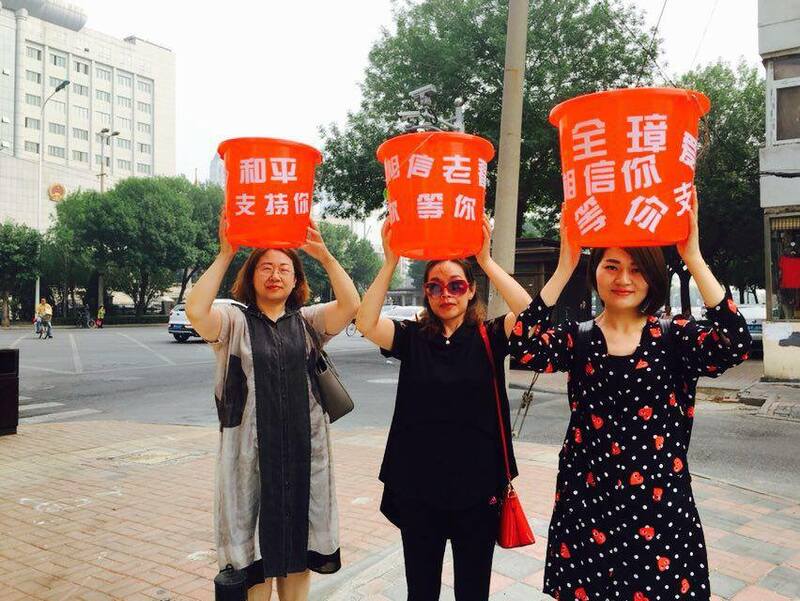 Wang Qiaoling, Liu Ermin, and Li Wenzu with their red buckets. Photo: CHRLCG. 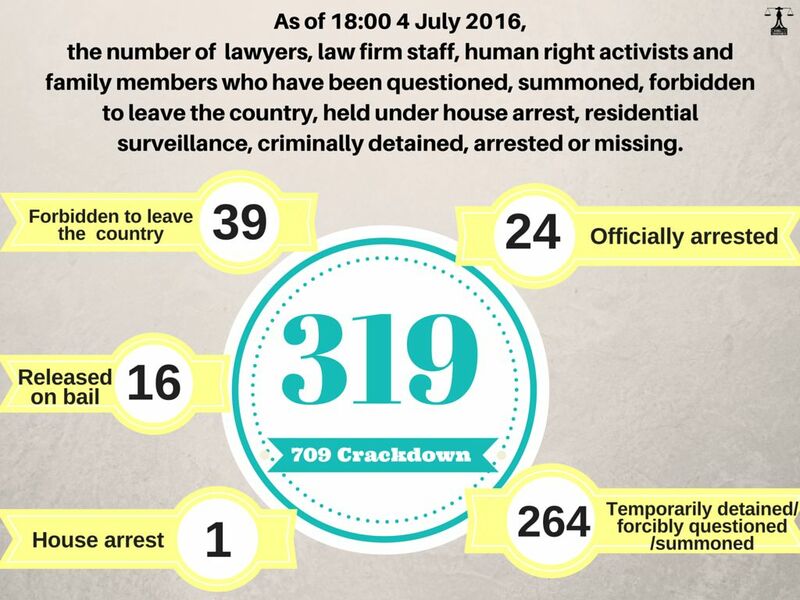 Photo: The China Human Rights Lawyers Concern Group. Liu Ermin. 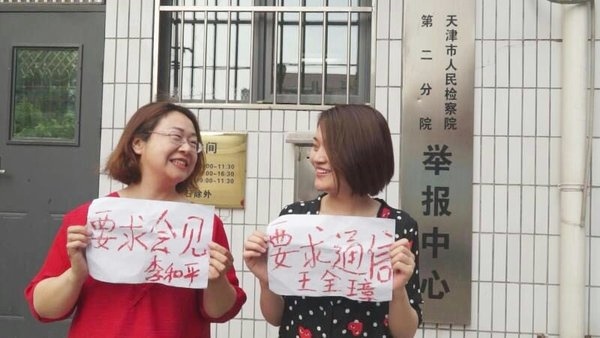 Photo: Twitter/Wang Qiaoling. 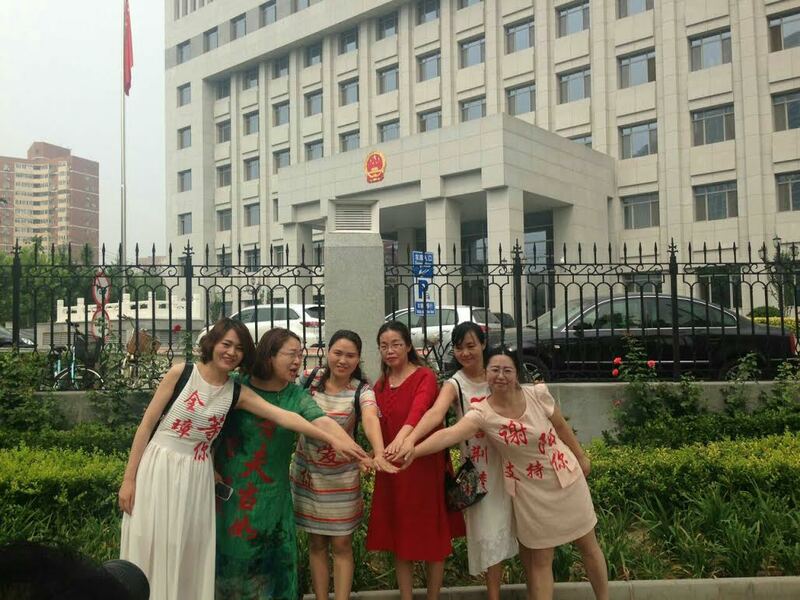 The wives of lawyers and activists outside the Tianjin Procuratorate on Monday. 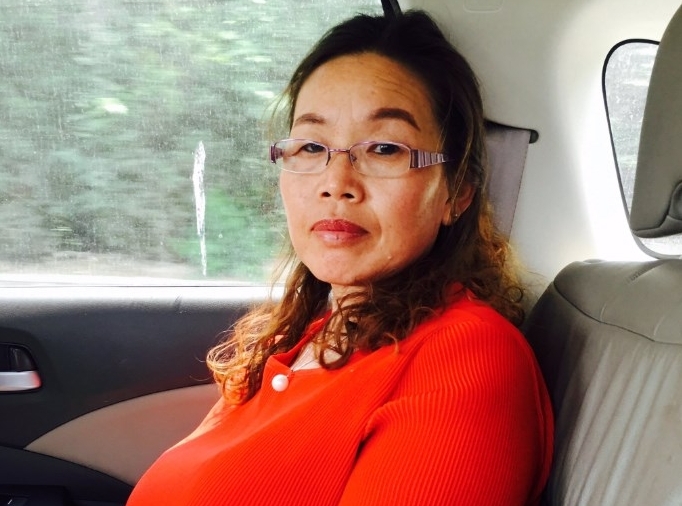 Photo: Activist.